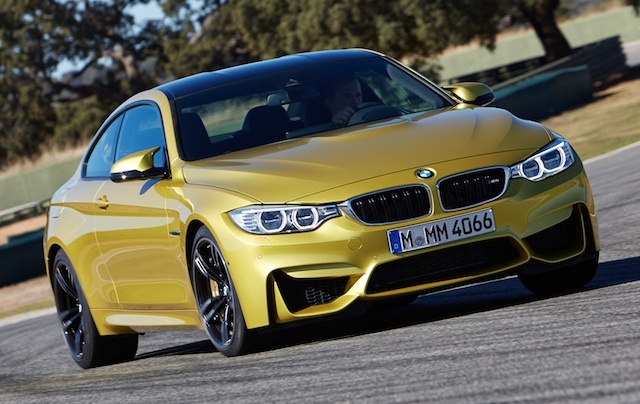 The new BMW M4 coupe and M3 sedan are a track-focused duo powered by a twin-turbocharged 3.0-litre straight-six that is considerably more flexible than the outgoing naturally aspirated 4.0-litre V8 unit. 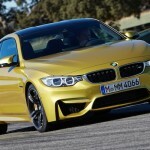 That BMW would use a boosted six-cylinder engine in place of the V8 has been known for some time. 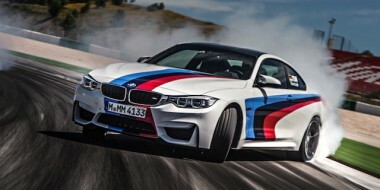 What is new is this from the carmaker’s “M” division engineering chief, Albert Biermann: “No BMW M base model has been developed so consistently for track use as the new M3/M4. 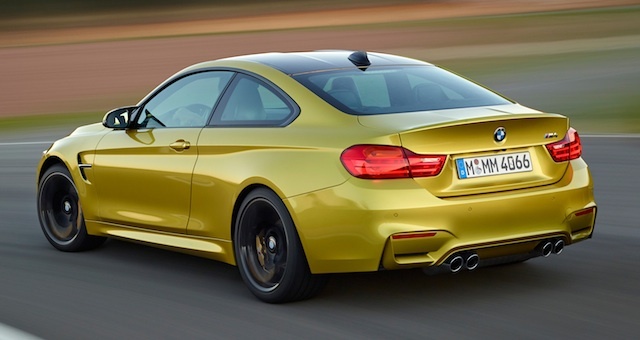 The M4 coupe is a claimed 80kg lighter than the old model, a weight loss that improves the 0-100km/h time to a claimed 4.1 seconds, half a second quicker than the V8-powered car. 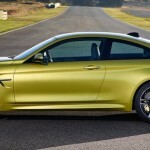 BMW claims the same sprint time for the M3 sedan, although it hasn’t revealed the actual weight of the four-door. The lighter weight has been managed through the use of more lightweight materials like carbon fibre-reinforced plastic. 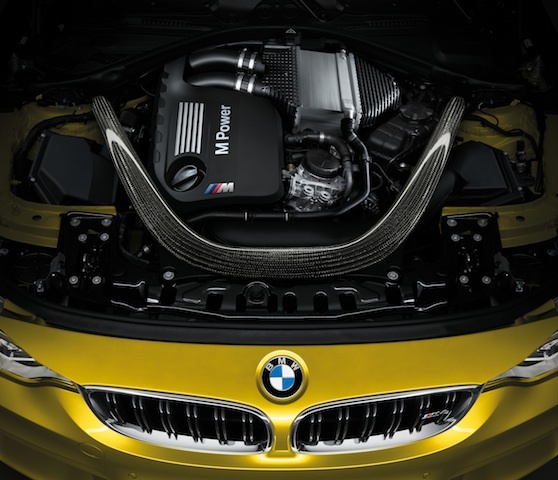 Both the M3 and the M4 get a CFRP roof – saving around 5kg – and a CFRP strut brace under the bonnet. The use of CFRP extends underneath the bodywork, too, with a new prop shaft made from the lightweight material. There is not much in terms of power between the boosted new six and the old V8, the six delivering 317kW and the V8 308kW. What is different is torque. 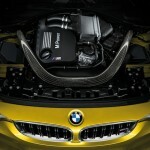 The V8 hit maximum torque of 400Nm at 3900rpm; the twin-turbo six has 550Nm available from between 1800-5500rpm. 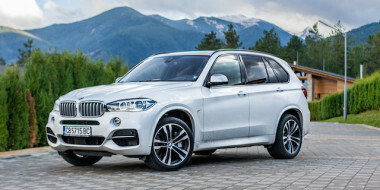 There’s a fuel economy advantage, too, with both cars capable of town-and-around use of 8.3 litres/100km (34mpg) and emitting 194gr/km of CO2. 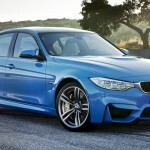 That’s compared with 12.3 litres/100km (23mpg) and 290gr/km in the outgoing M3. 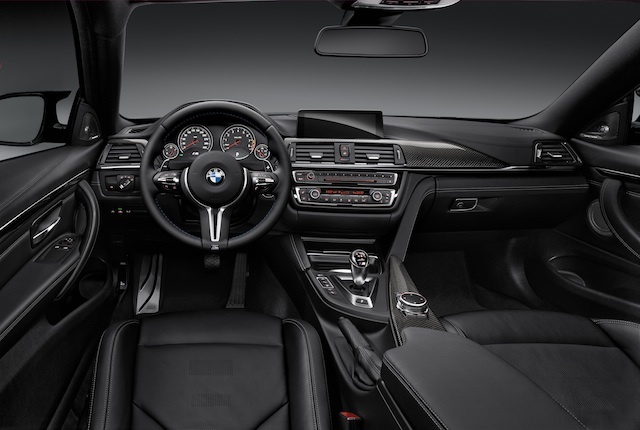 A six-speed manual gearbox comes as standard and features an auto-blip function on downshifts; a seven-speed dual-clutch transmission is an option. Biermann says the manual box as a “non-negotiable part” of the package. “The manual is derived from the 1M but has been modified and is now 12kg lighter than the gearbox in the old car,” he said. 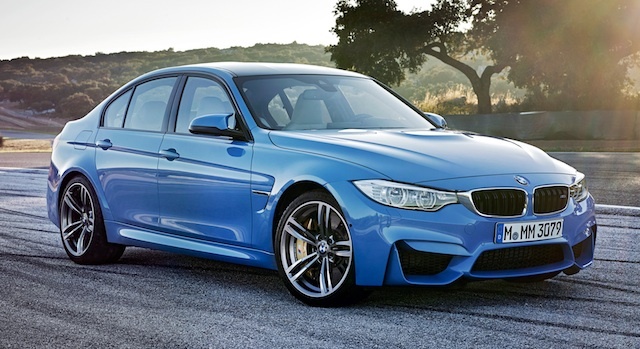 The M3 and M4 get a new aerodynamic bodykit, giving them a much lower and wider look. 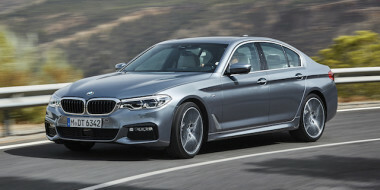 A wider track front and rear aids stability, while a revised M differential helps traction but allows drivers latitude in sliding the rear end around. There is also a new electromechanical steering set-up with three modes – Comfort, Sport and Sport+ – offering different levels of assistance. 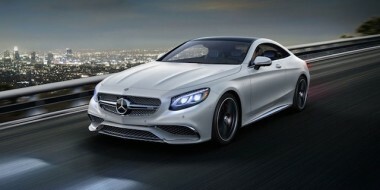 On the options list are carbon-ceramic brakes, a heads-up display, active cruise control and fatigue detection. 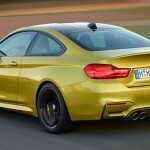 BMW will also offer an M Laptimer app for smartphones, allowing owners to hook their device up to the car and record things like speed, revs and lateral acceleration around a track.